Dusty gold color. Creamy, fruity aromas and flavors of coconut cream pie, dried tropical fruits, pink peppercorns, and pencil shavings with a silky, vibrant, fruity light-to-medium body and a complex, medium-long finish with accents of creme Anglaise, delicate spice, sarsaparilla, and white cigar ash finish. A creamy, inviting whisky that is sure to please. Bottom Line: A creamy, inviting whisky that is sure to please. 96 • Denizen Merchant’s Reserve 8 Year Old Rum 43% (Jamaica & Martinique) $29.99. 94 • Denizen 3-Year Aged White Rum 40% (Trinidad & Jamaica) $19.99. 84 • J.H. Cutter Blended Whiskey 48% (USA) $49.99. 93 • JUNíPERO Gin 49.3% (USA) $32.99. 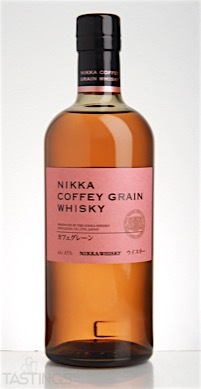 95 • Nikka Coffey Grain Whiskey 45% (Japan) $69.99. 93 • Nikka Coffey Malt Whiskey 45% (Japan) $.00. 94 • Nikka Yoichi Single Malt Whisky 45% (Japan) $79.99. 91 • Nikka Miyagikyo Single Malt Whisky 45% (Japan) $79.99. 89 • The Glenrothes Bourbon Cask Reserve Single Malt Scotch Whisky 40% (Scotland) $.00. 93 • The Glenrothes Peated Cask Reserve Single Malt Scotch Whisky 40% (Scotland) $.00. 93 • The Glenrothes Sherry Cask Reserve Single Malt Scotch Whisky 40% (Scotland) $.00. Outside of Scotland, there may be no other country that produces as many great whiskeys as Japan. A few natives began producing whiskeys in Japan in the early 20th century, and armed with knowledge from time spent in Scotland learning their craft, blended whiskeys were born in Japan. Single malts did no come about in Japan until the late 20th century and today they are regarded as among the finest in the world. The finest Japanese single malts are aged for a lengthy period, from 12-18 years. Styles vary from relatively light to more full-bodied with a peaty quality very much in the style of a single malt Scotch. 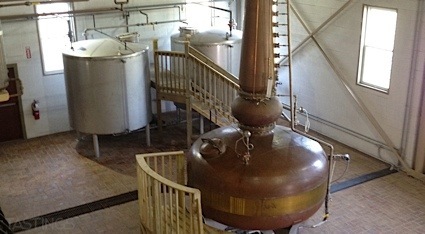 Flavors range from honeyed cereal to brown spices, leather and tobacco. The quality is outstanding; these are meant to be sipped and enjoyed with a cigar after dinner. Nikka Coffey Grain Whiskey rating was calculated by tastings.com to be 95 points out of 100 on 8/18/2016. Please note that MSRP may have changed since the date of our review.